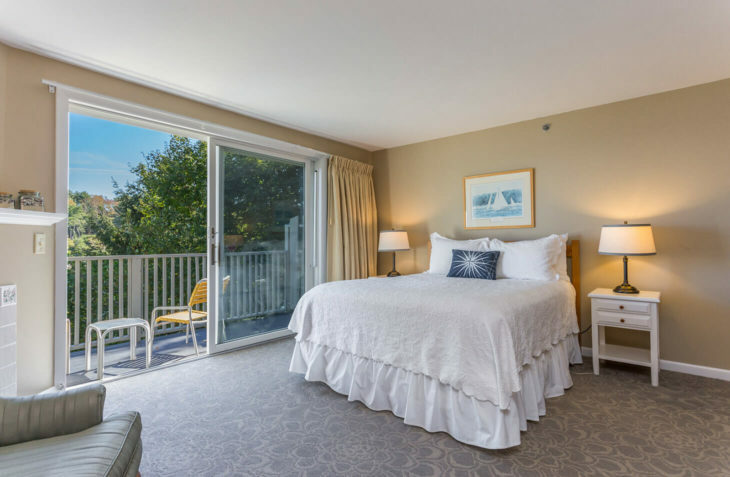 For romantic Maine getaways or a distinctive touch, this room in the Lookout building offers the best in York Beach lodging. 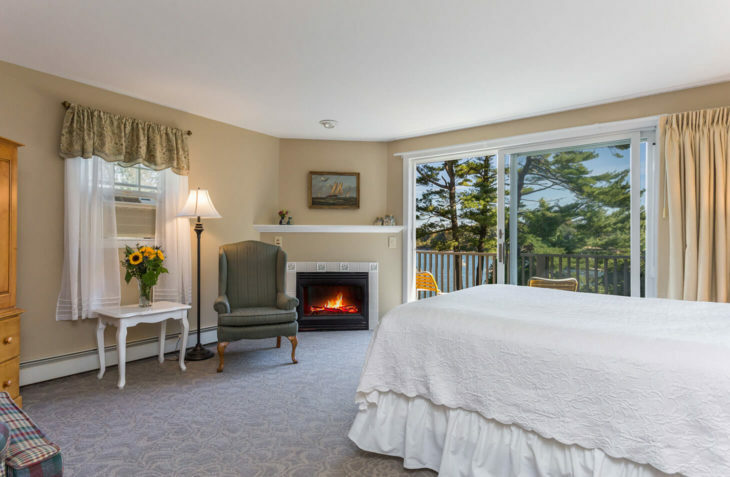 Gaze at the gas fireplace from the respite of your queen bed. 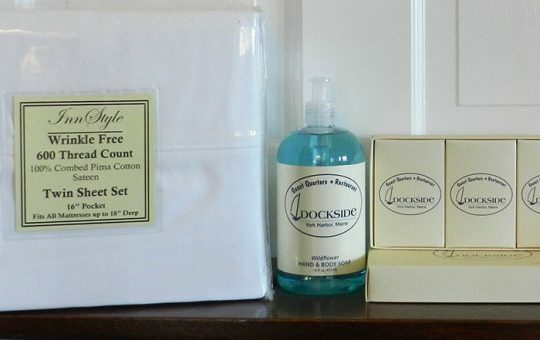 Additionally, this room features comfortable chairs for reading and relaxing, plenty of room in dressers and closets for your belongings, and a private bath with an oversized shower. 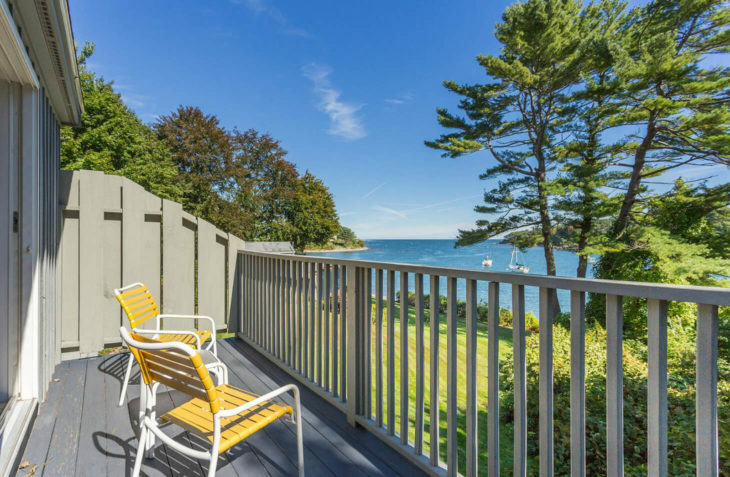 A private balcony and spectacular water views add to the ambiance of this room on the coast in Maine.